Our unique combination of expertise, experience with a variety of dental software packages, and cutting edge technology makes us a great fit for supporting dental practices of any size. Intermedia Group Inc. is a full service technology services company which offers products and services to support businesses throughout the United States. Our fully trained and certified technicians are prepared to meet your needs every day, and can solve many issues remotely. We offer a wide variety of programming and design services to help realize any vision, and our diverse team can work any code base. We protect our customers from technology storms. Let us protect you, too! Internet software products which are designed to help businesses manage their employees, customers, schedules, sales, inventory and more, as well as custom web development services. We stand firmly on the boundary of the most cutting edge technologies and stable office infrastructures, and can help design and deploy the right cloud solution for your business. Having solid vendor relationships with several of the largest technology providers on the market, we have access to exclusive pricing options. One of the best tools Intermedia Group Inc. has to offer is our support service. We employ fully trained and certified technicians who are prepared to meet your needs every day. In addition to the high quality of service that is available, we offer price breaks for purchasing time in advance with our Service Retainer Contracts. This locks in a premium hourly rate on all service and support calls, and allows a quick 4-hour technician response time whenever you have a problem. Intermedia Group Inc. is a full service technology services company which offers products and services to support businesses throughout the United States. We have an experienced staff who can help any size business adopt new technology to solve their day-to-day technological challenges. 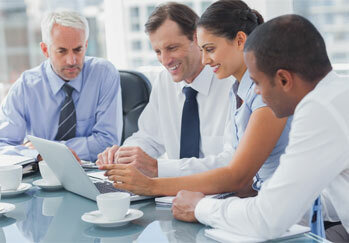 By providing good, solid advice and recommending proactive technology solutions, Intermedia Group Inc. helps small business executives navigate through difficult technology choices and understand how outsourcing technology needs can enable them to boost their companies’ productivity, increase their companies’ efficiency and provide a higher return on investment.